Reduced Pain Means Better PERFORMANCE! Massage therapy breaks up tightness and adhesions in the body’s muscle and connective tissues; tendons and ligaments. This increases blood flow into the tissues flushing out waste and toxins while rushing in nutrients and oxygen to heal. The tight muscle, resulting in reduced pain, increased range of motion and better performance, not to mention a happier attitude. With training in Swedish Massage, Deep Tissue, Trigger Point Work, Cranial Sacral and Lymphatic Drainage, I have many tools at my finger tips to comprehensively treat you and your horse. There are many signs of a horse experiencing pain… Shifting weight from one hind leg to another while standing. Excessive tail wringing or swishing. Stiffness coming out of the stall or just starting under saddle. Cranky behavior in a normally sweet horse. Reluctance to perform his job (stopping at jumps, resisting collection, swapping leads). Quick attention to his discomfort will shorten recovery time. Performance Massage Therapy will work with you to schedule a convenient time and place. Contact us! Have a Horse? Will Travel! While I do have an office for human massage, for some silly reason my building owner frowns on horses coming into his building. I travel to your stable for treatments. I also travel to local shows on request if I’m not already working at them. Look for my Performance Massage Therapy tent! I generally will travel within an hour of my base in Renton. Further travel requires an additional charge, please call for details. A 2005 graduate of the Brian Utting School of Massage, Kristi has been in private practice for 13 years in Bellevue, WA focusing on injury treatment and chronic stress relief. 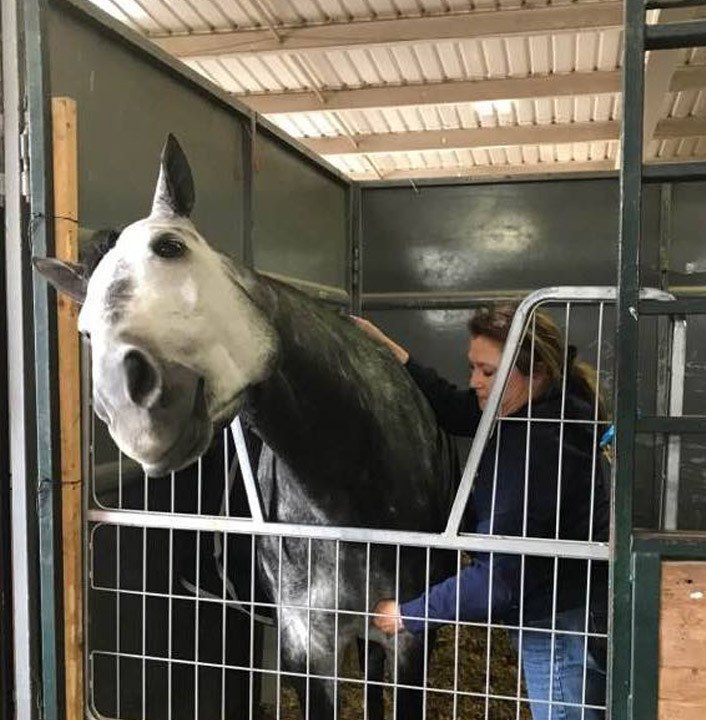 With over 1000 in licensing hours including: Anatomy, Kinesiology, Pathology, Physiology and 300 hours spent hands-on in the school’s student clinic, Kristi has a firm knowledge of how human and equine bodies work and how massage therapy can help heal them. Kristi holds additional certifications in Large Animal Massage, Cranial Sacral Therapy and Lymphatic Drainage techniques to give me many options for treating humans and horses. The addition of her Avant L30-Z cold laser broadens her ability to treat humans and animals. Her lifelong passion for horses started at the age of 6 when she took her first lesson. 13 years in 4-H provided a solid foundation for riding both English and Western and safely handling all horses. 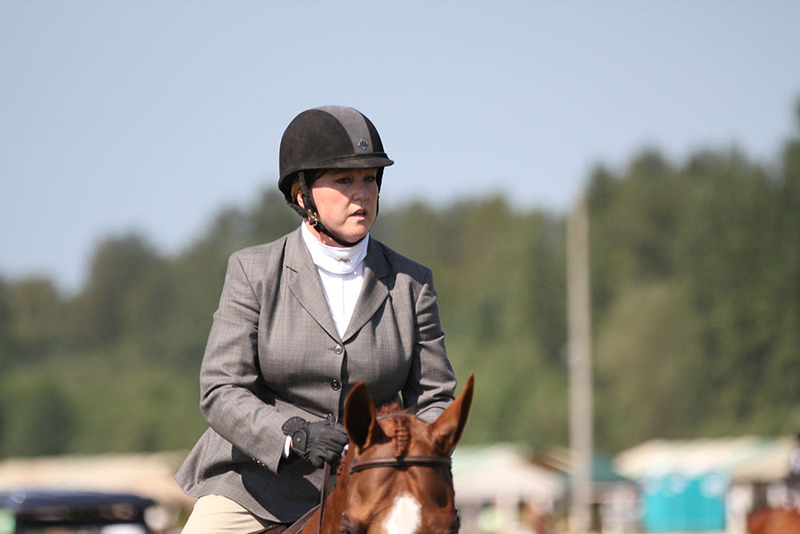 She has competed with and worked in A rated Hunter/Jumper barns in the Seattle area and ridden in clinics with Greg Best, Geoff Teal and Nancy Free. As a teen Kristi and her twin Kathi trained and showed when they could with Bob Woodington and Dina Happy. Kristi feels fortunate to have ridden in one of Dina’s last clnics. Currently, her passion for Thoroughbreds has led to developing them off-the-race-track for new sport horse careers. *Side note: I met Amy when we were teenagers. My sister and I would trailer over from Ellensburg to Central Park Stables in Kirkland to take lessons. It’s awesome to reconnect with Amy and several other girls from that time period, and see that we all still have horses. 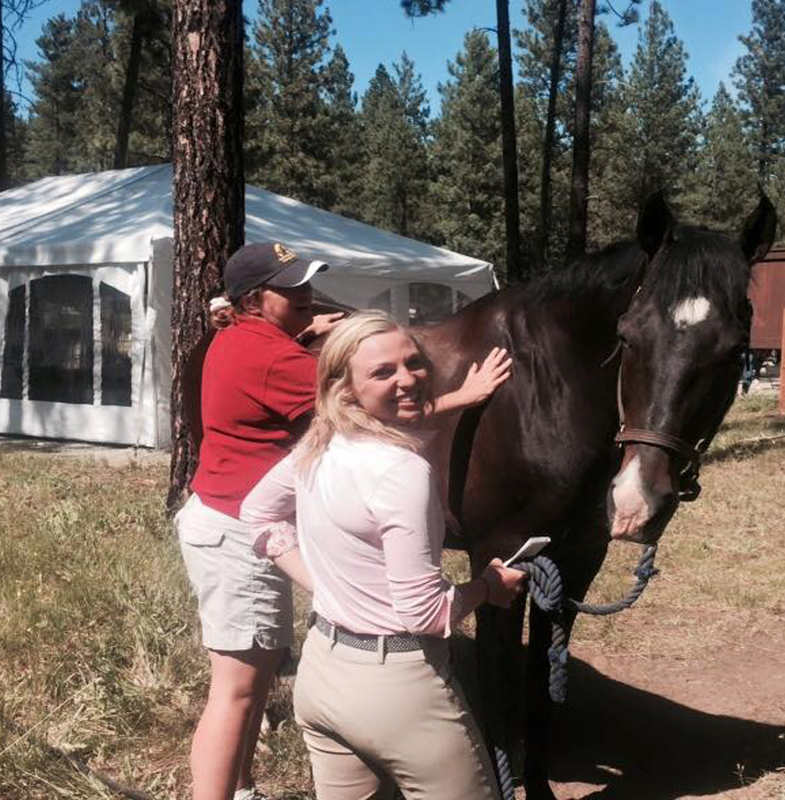 “As a fellow equestrian, I highly recommend Kristi’s massage therapy for yourself and your horse. Kristi worked on a horse I leased last summer who was short-strided on his left hind, stiff in both shoulders and showed overall tightness in all major muscle groups. Within a few sessions, Corona showed huge improvements! His stride opened up, he turned easier after jumps and seemed to be happy to go to work each day. Seeing the changes in this horse, I began therapy with Kristi. I have had poor posture for most of my life along with scoliosis in my upper spine. These are exaggerated when mounted on a tall horse! Again within a few sessions, my posture in the saddle and off improved immensely. I actually got compliments from my trainer on my position which has never happened before! I feel my shoulders are more flexible enabling me to move better while riding.